Defour - Burnley move was "right step"
Clarets record signing Steven Defour believes his move to Burnley helped him win his place back in the Belgium squad. Defour was not with the Red Devils at Euro 2016, but was selected by new boss Roberto Martinez for the games with Spain and Cyprus this week. 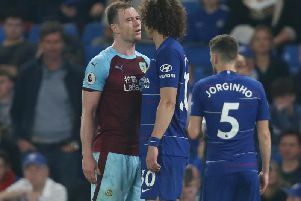 The former Anderlecht man met Martinez at Turf Moor after the recent 2-0 win over Liverpool, as he made his debut for the club, and Defour said to HLN: "I've been playing in the Premier League, it has certainly played a part in my selection. The English league has more respect. Therefore Burnley was the right step. "We play a different kind of football. "It was a tough first week, with the transfer worries, then some typical English training and then immediately the match against Liverpool. But the transition went smoothly. I adapted quickly."